Construction has begun! Our first building is under way! YEAH! 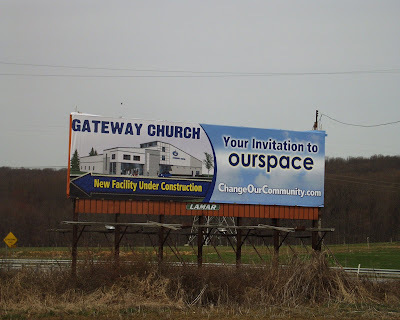 We are certainly excited about that…but…for Gateway Church it has never been nor ever will be about the physical building! If a church exists and it does little or nothing to change its community then it may as well close its doors! The “church” is God’s people. I get to serve with a great church! This past Sunday our Blue Crew (service teams) were all over the community. Serving free hot dogs in Coatesville, serving our church plant Elk Creek Church as they hosted Jon and Kate Plus 8, cleaning up the bypass with Penndot, serving in local community endeavors from nursing homes to city missions. I am so proud of my team and family for BEING the Church. Let’s continue to serve the people of our community! As we serve, like Christ served, we will definitely CHANGEOURCOMMUNITY.com Check out the New Billboard along Business 30!